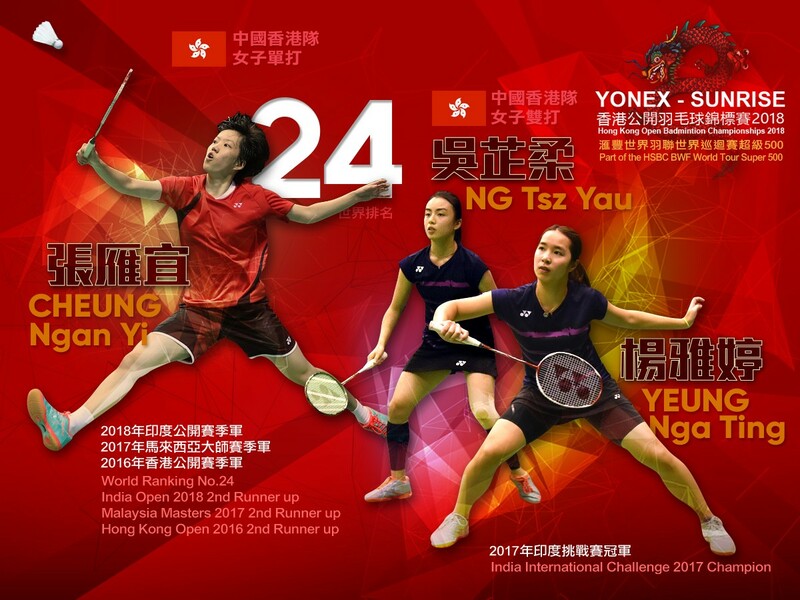 With home court advantage, Hong Kong will send a total of 13 players in Women’s Singles and Doubles events. Among them, Cheung Ngan Yi possess the highest world ranking. The 25-year-old player, currently ranked 24th has become a full-time athlete after graduating from Form 5. Her best result includes a 3rd place in both Denmark Super Series and Hong Kong Open in 2016. She will seek for a breakthrough and better result at home this year. The Doubles pair Ng Tsz Yau and Yeung Nga Ting has been working together since 2013. They have won a bronze in the National Youth Games and a gold in TATA Open India International Challenge 2017. They cooperate well on the court with a perfect combination which one player has good control on the net and the other has powerful attack from the baseline. However, after consulting with the coach, the 20-year-old pair decided to have new partners this year. Ng will join Yuen Sin Ying and Yeung will pair up with Ng Wing Yung. They hope this new combination will deliver more sparks on the court.